Ask us about our Advantage Plan! Please fill out this form and we will get in touch with you shortly. *Limit One Coupon per transaction. This $500 coupon will be shown as additional trade allowance. Coupon must be presented prior to negotiation. Cannot be combined with any other offer. See dealer for details. Plus you’ll receive an additional $500 owner loyalty discount on any new Chrysler, Dodge, Jeep, or RAM purchased at Tri-City Chrysler Dodge Jeep Ram. 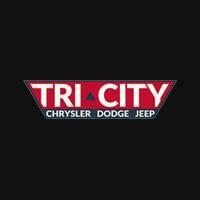 **Please see Tri-City Chrysler Dodge Jeep Ram for complete details. The vehicle must be the exact same make & model. Certain items excluded from the Price Guarantee. The merchant offering the lower price must have the vehicle currently in stock. The merchant must be an established U.S. site, as determined by Tri-City Chrysler Dodge Jeep Ram. Does not apply to auction sites. Guarantee applies to price of the item, prior to any shipping charges, handling fees, processing fees, taxes, etc. Limited to three claims per customer in any 60 day time period. Limited to one of the same item number per customer. Does not apply to merchants offering special promotions such as sale prices, rebate offers, coupon offers, and quantity discounts. Price Guarantee applies to items for which no other offer, promotion or incentive that may otherwise be provided by Tri-City Chrysler Dodge Jeep Ram has been utilized or accepted by customer. Dealer must be able to confirm the lower price, and unconfirmed prices will not be honored. Tri-City Chrysler Dodge Jeep Ram reserves the final right to best determine eligibility for Price Guarantee. Price Guarantee is subject to change without prior notice. Comparable vehicle must have clean Carfax and AutoCheck reports and no previous paint or body repaired damage. The comparable vehicle must be available for sale to Tri-City Chrysler Dodge Jeep Ram. Vehicles that are sold and unavailable are not qualified comparable vehicles. Comparable vehicle must have the same equipment as the vehicle purchased by the customer ie. Navigation, Sunroof, or Power Seats. The list of excluded items is subject to change without prior notice. Receive a complimentary alignment with purchase of four tires. 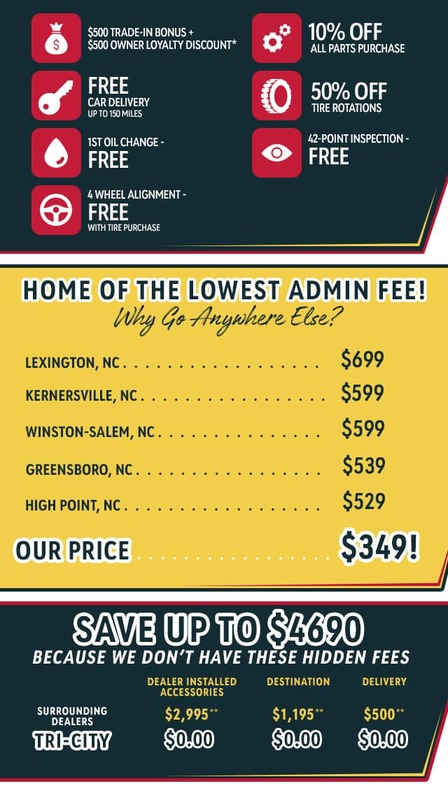 Cannot be combined with any other offer or tire discount. Parts and service specials can not be combined with any other offer. Receive a complimentary 42-point inspection report with any repair or maintenance. 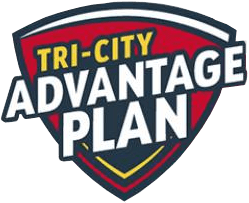 All Tri-City Chrysler Dodge Jeep Ram Advantage Plan members will receive 10% off all over-the-counter, Genuine Chrysler, Dodge, Jeep, or RAM parts and accessory purchases. Excludes labor and tires. All Tri-City Chrysler Dodge Jeep Ram Advantage Plan members will receive 50% off tire rotations during the life of your ownership.